PLAYDIUS and game developer Flying Oak Games announced that the twin-stick shooter RPG NeuroVoider will be available on PlayStation 4 on March 14th in North America and on March 15th in Europe, and on Xbox One on March 17th. The game will also be adapted on the Nintendo Switch later this year. 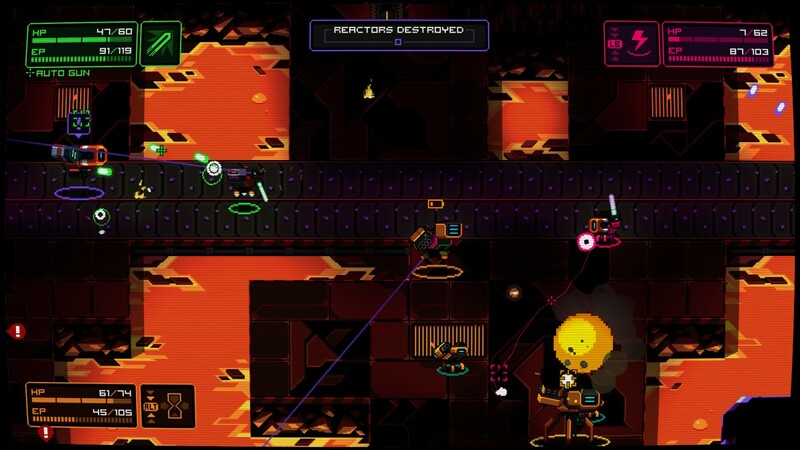 NeuroVoider is also getting additional content on March 10th through its Extended Update on Steam (and already present on consoles), including new legendary weapons, skills, boss variations, achievements, environments and tunes from Dan Terminus.